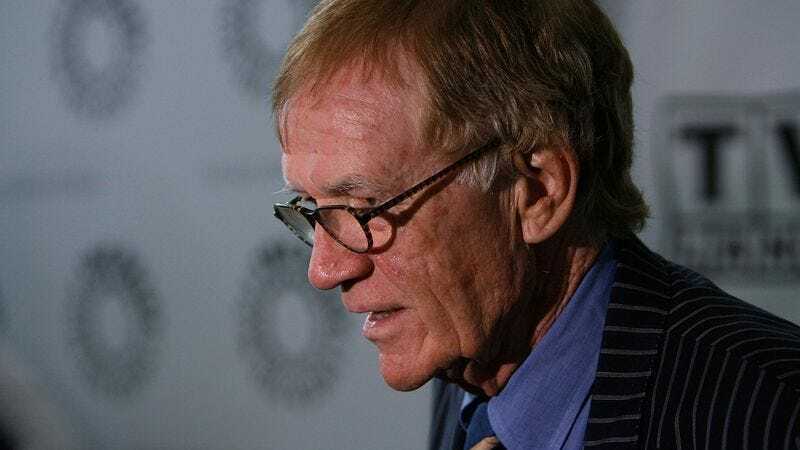 Multiple sources are reporting the death of comedic actor Jack Riley, known for plying his wry, Midwestern deadpan in The Bob Newhart Show, Rugrats, and a number of Mel Brooks movies. According to The Hollywood Reporter, Riley died of pneumonia after a long illness. He was 81. Hailing from Cleveland, Riley got his start in radio before heading West in the mid-’60s, booking a recurring role on the short-lived sitcom Occasional Wife and doing guest shots on series including M*A*S*H, I Dream Of Jeannie, and The Mary Tyler Moore Show. That third series was produced by the same studio, MTM Enterprises, that would give Riley his signature role: Touchy, narcissistic, neurotic, phobic, greedy, insecure pessimist Elliot Carlin on The Bob Newhart Show. “Mr. Carlin”—as his psychologist, Dr. Bob Hartley (Newhart) was wont to call him—was a regular fixture at the Rimpau Medical Arts Center, the most frequent of Dr. Hartley’s patients and certainly the most addled. Riley’s scenes opposite Newhart are tennis matches of understatement and sarcasm, Dr. Hartley’s sincere desire to help Mr. Carlin forever volleyed back at the doctor by Carlin’s unique mix of self-loathing and smug self-satisfaction. But even a sour puss of Elliot Carlin’s stature can’t dampen the mood of the outrageously soused Thanksgiving dinner at the heart of “Over The River And Through The Woods,” one of the funniest set-pieces in sitcom history. Riley made 49 appearances as Elliot across Bob Newhart’s six seasons, later reprising the role in St. Elsewhere (another MTM production) and ALF. Harkening back to his radio days, Riley’s most prominent work outside of Dr. Hartley’s office involved his voice, be it as the male half of the handsy couple who just can’t get enough of Shedd’s Spread Country Crock or “P.C. Modem,” the fictional “computer genius” who spread the word about CompUSA. After rubbing elbows with the likes of Mel Brooks, Madeline Kahn, Harvey Korman, and Cloris Leachman in Brooks’ History Of The World: Party 1, Spaceballs, High Anxiety, and To Be Or Not To Be, Riley entertained an entirely new generation through his work with a bunch of “dumb babies.” As aspiring toy inventor Stu Pickles, Riley matched the knee-high wonderment of Rugrats with a heavy dose of frustrated-adult reality. He and Mr. Carlin would’ve gotten along splendidly.